Description: Anyplace Control is a multifunctional utility for remote PC monitoring and administration. After the software is installed and deployed, it allows you to view the desktops of other users on the network and remotely access computers to launch programs, transfer files, shut down or reboot, fix technical problems or completely take control over a remote PC. Download it for free and make sure that remote control is really easy. 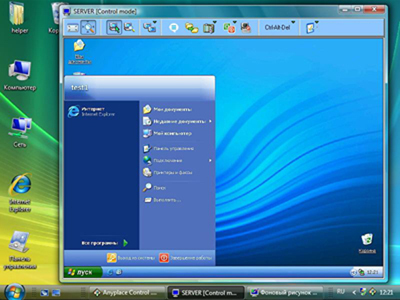 Description: Easy Remote Access is a Windows software that allows you to control remote computer securely and transfer files via the Internet or LAN. The program displays the remote computer's desktop on your local screen and lets you use your mouse and keyboard to control that PC remotely. In other words, with this program you can operate a remote PC just as if you were sitting in front of it, right from where you are, no matter where you actually are. Description: EMCO EventLog Audit Professional is a tool for scanning, storing, and manipulating event log data on a LAN. It stores the event log data from all machines on a LAN to a powerful Microsoft SQL Server database where you can search for any details such as Event ID, Type, Category, Source, User SID, string from the event Message, and Time period, by applying your SQL Queries. Description: Emco Network Favorites 1.0 can assist when you need to take a backup of remote machines favorites in your network, or copy some favorite link files to remote machines. Restore favorites also supported. You can easily fetch all machines from your network with the Enumerate LAN method, located under the Actions menu item. Description: EMCO Network Management 2.0 is a powerful deployment tool to install, remove or configure applications on remote computers within a LAN. With built-in Macro Scripter to make script files where you have over 60 functions to choose from by drag and drop. Description: EMCO Proxy Settings Manager is an excellent tool brought to you by EMCO Software to manage the proxy settings on different machines on your LAN. It allows you to configure proxy setting remotely on different machines on your LAN without installing any client side tool on remote machines. Description: EMCO Remote Administration is a deployment tool to install, remove, or configure applications on remote computers within a LAN. With built-in Macro Scripter to make script files where you have over 60 functions to choose from by drag and drop. Rich schedule management, auto install of remote service, ability to send a script file and actions to hundreds of computers in one shot and run with administrator privileges. Description: Remote Deployment Kit can install/uninstall any software remotely, silently and clientless. By taking a snapshot of your Operating System before and after running a setup or an install of any application and make a deployment package out of the difference. It can either be an application or some system changes. Description: EMCO Remote Desktop Professional is a remote desktop management solution for professionals, education and business in a wired and wireless Microsoft network. Reduces administration costs and enhances productivity. All from a central location Software and Hardware. Information gathered from remote computer's. Remote Desktop Professional can scan your remote client's for many useful information such as Service Pack, Installed Applications etc.